The minivan with maximum style. Make a statement with every drop-off. Sienna’s alluring front end makes no apologies with its aggressive upper and lower grille designs. SE has even more style to this look with a sport mesh front grille. Lower side rocker panels connect the front and rear wheel well openings, seamlessly tying together the overall look. No matter if you’re out running errands or out for a night on the town, your style will always shine through. Helps take weather out of the equation. 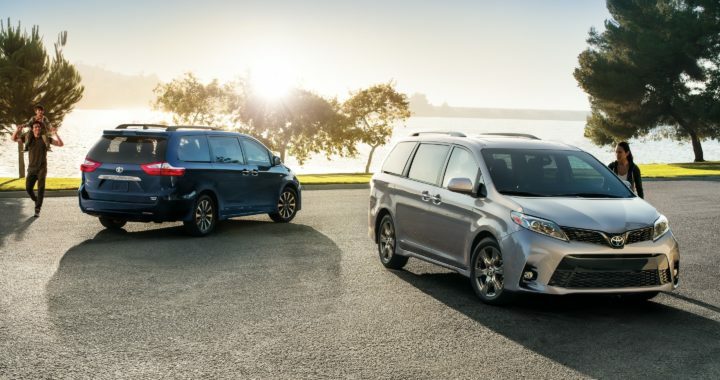 Sometimes we need to go places when weather conditions are far from ideal, which is why the 2019 Sienna offers the added security of All-Wheel Drive (AWD). By utilizing AWD with active torque control, this advanced system processes information sent from various sensors, then transmits the right amount of torque to the front and rear wheels, helping you maintain traction. The family hauler that really hauls. There’s no need to compromise driving fun for family comfort. Sienna’s lightweight, rigid body is aerodynamically optimized for responsive handling. A 296-hp V6 direct-injection engine helps deliver greater efficiency and power. Plus, SE utilizes sport-tuned suspension and Electric Power Steering (EPS) for a precise feel. It’s performance-oriented engineering that everyone can appreciate. Get more information from a quick glance with Sienna’s stylish gauge cluster. Customize the large, easy-to-read standard 4.2-in. color Multi-Information Display (MID) to show what you need most. For those with a sportier side, Sienna SE offers racing-inspired white-faced gauges. A welcoming space for the entire family. Fall in love with Sienna’s inviting soft-touch seating and available premium contrast stitching, but don’t forget about all the technology. A cockpit-like driver’s area with a standard 7-in. touch-screen and easy-to-use climate controls help make every trip a little more enjoyable. 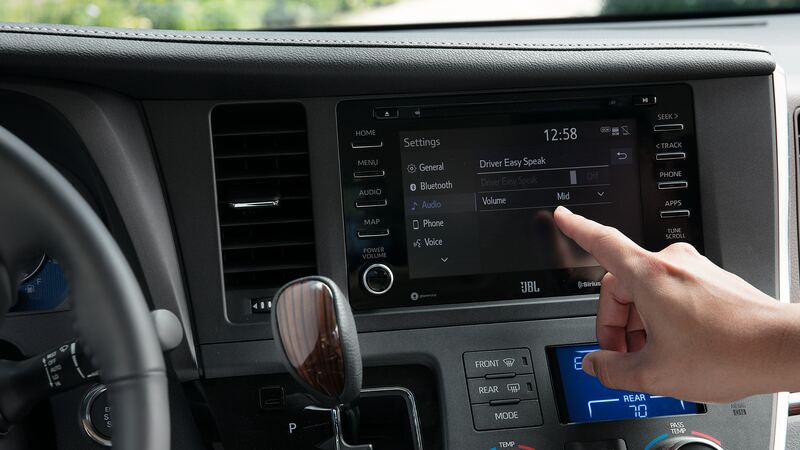 Take every drive to the next level with the Entune™ 3.0 connected infotainment system. Now featuring Apple CarPlay® support, it lets you access your favorite iPhone® apps such as Maps, Music, and Messages right on the high-resolution 7-in. touch-screen display. It also provides easy access to the standard Entune™ 3.0 App Suite, available on every Sienna so everyone can enjoy real-time traffic updates and other great apps. Plus, with Amazon Alexa55 compatibility, simply ask to play music, hear the news, check the weather, control smart home devices and more. Your group sing-alongs just got better. Sienna’s available Entune™ 3.0 Premium Audio with JBL® w/Clari-Fi™ uses ten speakers, including a subwoofer, to enhance the sound quality and hit every high note — even if you can’t. Entertainment for the entire family. All this fun comes with a confident drive courtesy of the available Entune™ 3.0 Dynamic Navigation. Just set your destination and the system updates the roads to give you the most up-to-date directions, so you’ll never miss a music program, practice or play date again. Everyone can stay connected with Sienna’s available Wi-Fi Connect (Powered by Verizon). 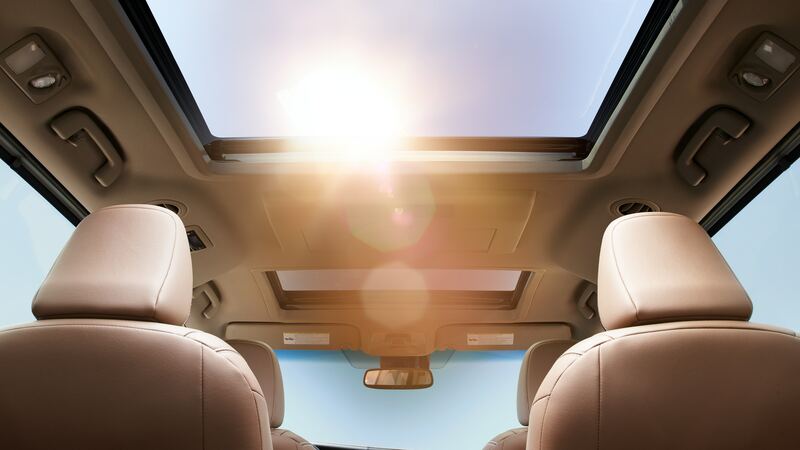 The advanced system supports up to five devices, making Sienna the hottest spot on the road. We’ve taken an active interest in your family. 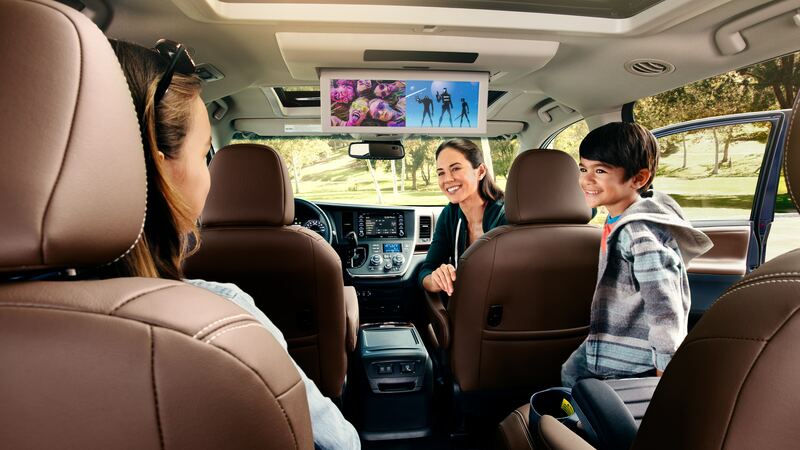 Many new Toyotas are equipped with the Star Safety System,™ a suite of six active safety features designed to help keep you out of harm’s way. The system includes Enhanced Vehicle Stability Control (VSC), Traction Control (TRAC), Anti-lock Brake System (ABS), Electronic Brake-force Distribution (EBD), Brake Assist (BA) and Smart Stop Technology® (SST). Using radar technology, the available Blind Spot Monitor (BSM) is designed to alert you when a vehicle enters a blind spot on either side. Available Rear Cross-Traffic Alert (RCTA) works similarly by providing you with audible and visual indicators to warn you of approaching vehicles. Sienna’s available Bird’s Eye View Camera with Perimeter Scan uses front-, side- and rear-mounted cameras to display a panoramic overhead view. It helps you see more of your surroundings so you can drive with confidence. Park and reverse with ease thanks to Sienna’s standard backup camera. Available on Limited, the Panoramic Camera5 offers a 180-degree wide-angle view, showing both your distance and projected path. The available Bird’s Eye View Camera21 with Perimeter Scan helps you see nearby obstacles thanks to a 360-degree overhead view. All of this helps give you peace of mind for a more peaceful drive. It’s like a family-friendly five-star resort. 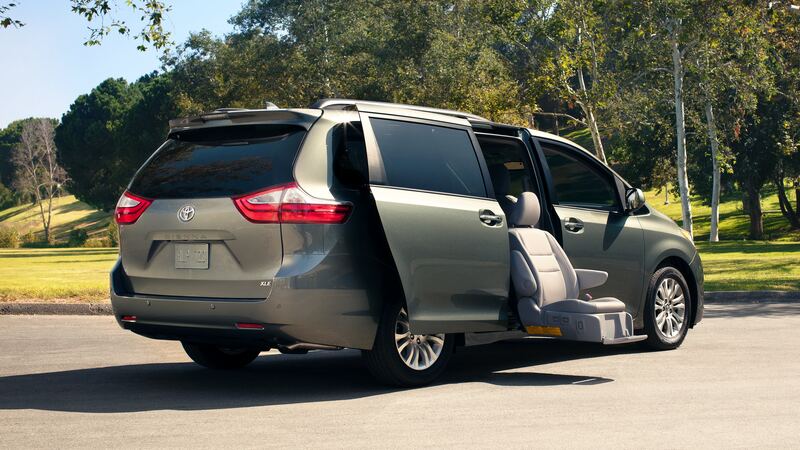 Sienna has the tech and convenience to make your active lifestyle easier and more fun. We took everything you and your kids wanted in an interior and put it all together in a premium, easyto-access package. 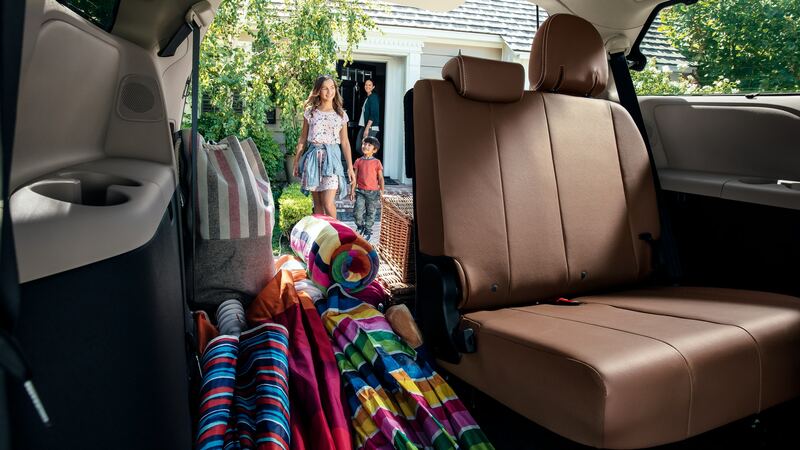 Whether you want to listen to a favorite soundtrack, watch a family-friendly movie or just fit more stuff, Sienna is ready to go. Welcome to the ultimate family room. The available Dual-View Entertainment Center has Blu-ray capability and includes a 16.4-in. color display, SD and HDMI inputs, two 120V AC power outlets and a remote with two wireless headphones. Its unique screen can display one wide-angle image or two smaller images from separate sources at the same time. The power to do more. Now everyone can stay in charge thanks to Sienna’s five standard USB ports spread across three rows of seats. With so many options, Sienna will put an end to the family power struggle. Yes, those in the rear seats can hear you now. Sienna’s available Driver Easy Speak feature has a built-in microphone up front that picks up your voice and transmits it to rear-seat passengers through the back speakers. To turn it on, just press the button on the 7-in. touch-screen display. 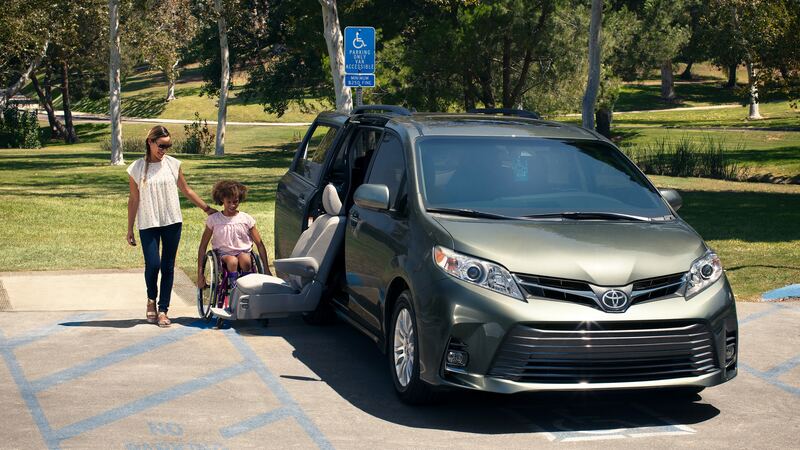 Sienna offers the Auto Access Seat as the perfect solution for anyone who needs a little extra help getting in and out of the vehicle. It meets all applicable safety standards and is universally suited for all ISOFIX/LATCH child seats. Specifically designed for Sienna, it’s the industry’s only power-rotating lift-up seat to be factory-installed by a major auto manufacturer. The Auto Access Seat rotates 90 degrees, then extends from the vehicle and lowers to a convenient transfer height, making for easy entry and exit. 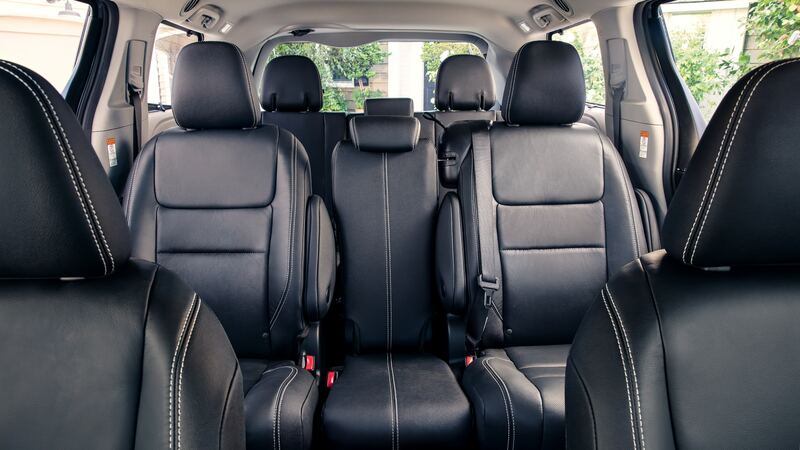 Since it’s a factory-installed feature, the seat matches the interior of your Sienna and is covered under the same comprehensive three-year factory warranty as the rest of the vehicle. It’s time to do even more. See numbered footnotes in Disclosures section. Because no two families are alike. 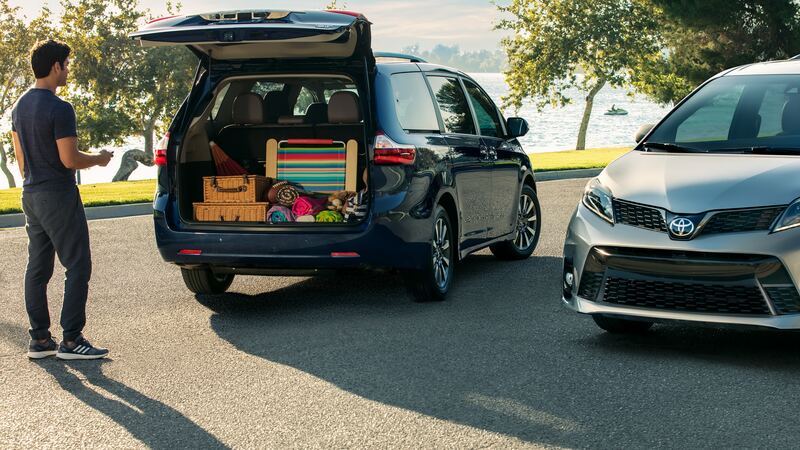 A wide range of Genuine Toyota Accessories is available to help you make your Sienna your own. Considering how appealing Sienna is, to begin with, these quality products will be like icing on the cake. Some accessories may not be available in all regions of the country. Contact Me with any questions 7 days a week. 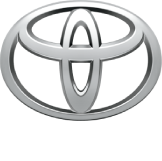 Posted in News and tagged 2019 Sienna Models and Trim LevelsAvailable in the Market, 2019 Toyota Sienna For Sale in Northeast Ohio, Sienna, Sienna For Sale in Cleveland Ohio, Sienna LE with Auto Access Seat in Akron Ohio, Sienna XLE with Auto Access Seat in Akron Ohio, Toyota Sienna Mobility Auto Access Seat For Sale, Used Toyota Sienna For Sale in Northeast Ohio.